We recommend renting a locker to store your personal items. 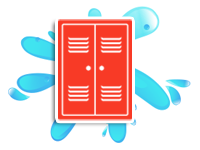 Daily locker rentals are available on a first- come first-serve basis. Payment types we accept for lockers are Credit/Debit Card and Cash (Exact change preferable, the machine only makes up for a certain amount of change). Rigby’s Card is not accepted.